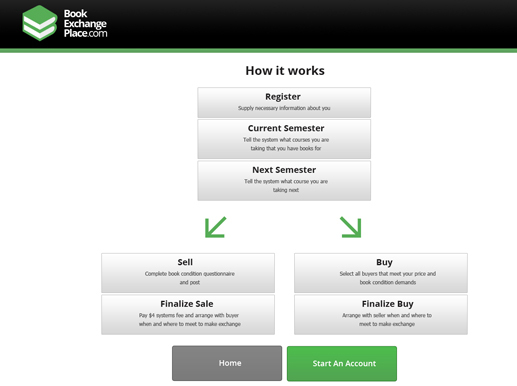 Book Exchange Place is an online website where It’s a lot easier to find a great price on a second-hand textbook, than it is to sell your used textbook for the same great price. Bookstores and online buyback programs, buy your textbook for under half of what they then sell it for, marking the price up so that they can cover their additional expenses. Post your second-hand textbooks on our site, where students taking the course next can find it and make you an offer for your book. You have the choice to accept an offer that is made, or you can make a counter offer. Once you have both reached an agreeable price, you can arrange to meet on campus. Providing a secure system that prevents unexpected crashes as there was a big database of books in various categories & subcategories. To keep the system updated about sold & existing books was also a big concern. 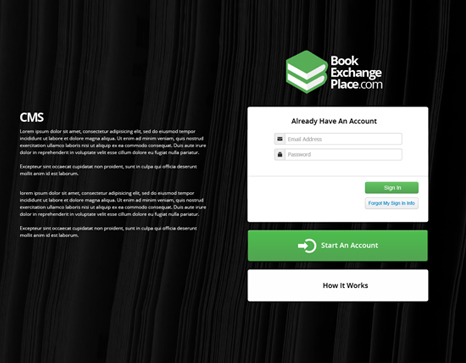 We developed a solution in book exchange that once a seller receives notice that a listed book has been sold, the seller must notify the buyer via e-mail within 48 hours that the purchase is noted. Shipment of the order must be made within 24 hours after the seller sends the notification e-mail. The seller sends a notification to the buyer and system when the shipment is made. 01 People who want to buy books come to the site and search for the books they want. When they decide to buy, they must open an account with a credit card to pay for the books. The system maintains all of this information on secure servers. 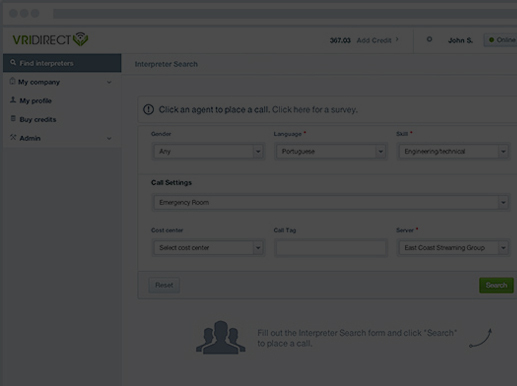 02 When a purchase is made, system sends an e-mail notice to the seller of the book that was chosen as well as payment information. It also marks the book as sold.